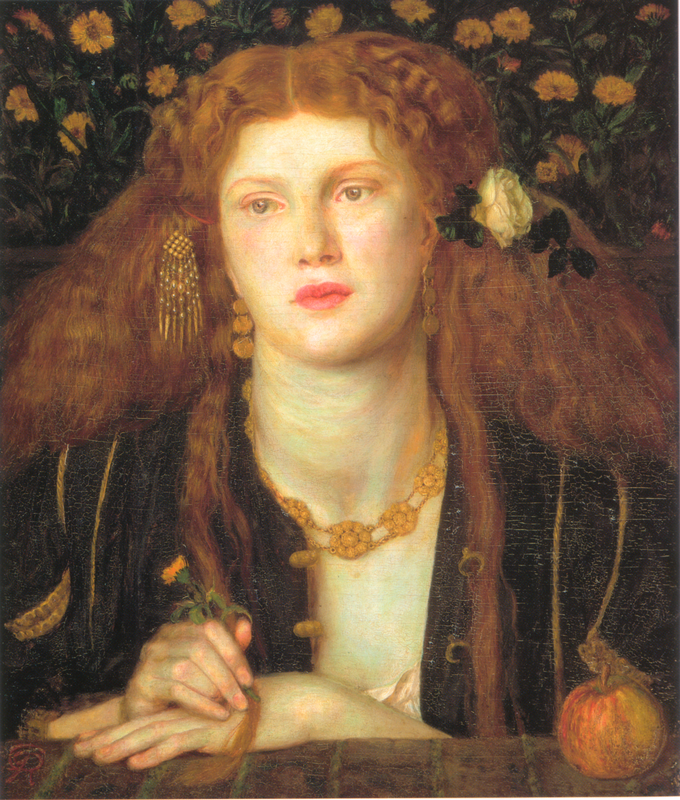 Whatever Happened to Fanny Cornforth? Even if you don’t know her name, you’ll certainly know her face. The beauty behind iconic Pre-Raphaelite paintings Bocca Baciata, The Blue Bower, Found, Fair Rosamund, images reproduced on everything from baby body-suits to Thermos food jars, Fanny Cornforth is best known as the model and muse of Dante Gabriel Rossetti. 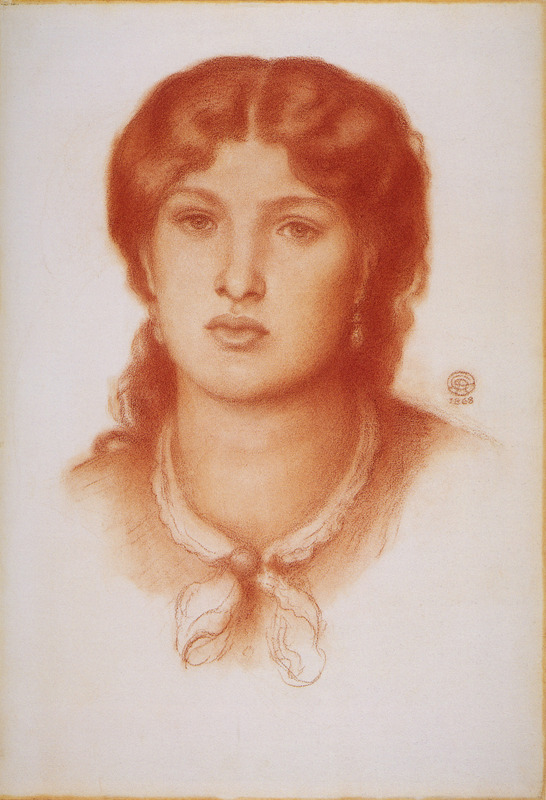 Not only one of the artist’s ‘stunners’ – the collective description for Rossetti’s muses and a term invented by the artist himself – and far more complex than one of the “Fair Ladies” which populate his works, Fanny, the blacksmith’s daughter, was a stubborn, passionate, aggressive and gregarious Victorian supermodel who assisted in founding one of America’s foremost art collections. The relationship between ‘My Dear Elephant’ and ‘Rhino’ – Rossetti and Fanny’s pet names for each other as they grew older (and wider) – has been the subject of much interest in Pre-Raphaelite studies. It’s been suggested that Cornforth inspired a shift in Rossetti’s artistic style, and Bocca Baciata, his first painting of her, sees the artist begin to experiment with ideals of Aesthetic beauty. Although clearly a significant figure in the artistic movement which has experienced a revival of interest over the last few decades, Fanny’s tale is also one of mystery. For many years, she seemed to have disappeared from the annals of history after the death of Rossetti in 1882. Until recently, only the first few acts in the life of Fanny, born Mary Cox in West Sussex town Steyning, were known. She is understood to have met Rossetti is 1858, and married mechanic Timothy Hughes shortly after Rossetti wed Lizzie Siddal in 1860. Separated from her first husband after a short time together, Fanny moved into Rossetti’s home as his housekeeper and mistress after Lizzie’s tragic death from laudanum overdose. As the artist’s health declined, his middle class family intervened in their relationship and Fanny, who came from the rural working class of English society, was forced to leave Rossetti’s house in 1877. William, Dante’s brother, said that she had ‘no charm of breeding, education, or intellect‘, an unkind character analysis which reflects much of the dislike Rossetti’s contemporaries had of the lower class Fanny. After Fanny was forced to leave, Rossetti housed her nearby, giving her several of his paintings. She married John Schott, a publican from a family of actors, and went on to run the Rose tavern in Westminster with her new husband, whilst continuing to nurse Rossetti. After the artist’s death, Fanny and John opened a Rossetti gallery to sell some of the works she owned. John passed away in 1891, and around this time Fanny began to correspond with Samuel Bancroft, an American Rossetti art collector. In letters sent to Samuel, Fanny would complain that her sister-in-law, actress Rosa Villiers, would allow her little money, despite the comparative wealth of the family. In 1906, Fanny simply vanished, and although Bancroft attempted to find her, the only news he received of her was an indication that Rosa had taken her to live in Hove as she had become ‘difficult’. This, as has been discovered, was not the case. When the National Archives publicly released the Lunacy Records of Britain, researchers were able to discover the last – and until then, unknown – whereabouts of Fanny Cornforth. Among these researchers was Kirsty, who, in 2015, discovered the story of the last days and final resting place of Fanny in the archives of Chichester’s West Sussex Record Office. What Kirsty found proved that, after being placed in the care of the West Sussex workhouse, Fanny eventually became too much for her landlady to deal with – and so she was taken to Graylingwell Hospital, the West Sussex County Asylum, where she was admitted on March 30, 1907. Fanny – by now referred to as Sarah Schott/Hughes – had become very deaf. She also had a bad temper, which, it was suggested at the time, was (unsurprisingly) a result of having been taken to the workhouse against her will. Her first examination listed senile mania, confusion, and weak-mindedness, and she was said to be unable to sustain a rational conversation without memory loss and sleeplessness. Despite her mental health being impaired, Fanny was said to be garrulous, but incoherent and very excitable. After breaking her arm in September 1907, Fanny’s health took a downward turn, and she became increasingly more unwell. She would rip bandages from her injured arm, and became confused. In 1908, she was listed as having senile dementia. Fanny contracted bronchitis which developed into pneumonia, and she passed away at Graylingwell Hospital on February 24, 1909 at the age of 74 years old. Kirsty said: ‘The asylum I grew up near had its own graveyard for those poor souls without friends or family to claim them’. Therefore, she originally assumed that Fanny was buried in the asylum grounds, particularly as there was no evidence of where she was interred and the local parish church had no record of her burial. With the help of an archivist from the West Sussex Record Office, Kirsty found out that it was likely Fanny had been laid to rest in the Chichester District Cemetery if no-one had claimed her. After approaching Cemetery Services with the name ‘Sarah Hughes’ and Fanny’s death date, the mystery of Fanny’s final resting place was revealed. In a peaceful corner of the graveyard, beyond the war memorial, lies Fanny Cornforth, who was buried on March 1, 1909, in plot 133/23. Fanny is, as Kirsty says, ‘the patron saint of overlooked women’, always ‘in the background of so many stories about other people’. Because of this, a fundraising drive has been launched in Chichester, led by fans of the muse and model who think that her life and contributions should be commemorated. #RememberFanny, an initiative supported by the Pre-Raphaelite Sisterhood, is hoping to raise money to commission a fitting memorial to Fanny and ‘all that this incredible woman achieved in her life’. As she was buried in a common grave, she shares her plot with other people and therefore it is impossible to have an individual headstone for her, but the #RememberFanny team are planning to commemorate her life with a memorialising tribute. Sarah Rance-Riley, who is championing the #RememberFanny campaign, was also the project manager of the Graylingwell Heritage Project. This was a Heritage Lottery Funded project which worked with members of the local community to put together a creative history of the West Sussex asylum where Fanny spent her last days. It is hoped that Fanny’s tribute can be installed to be unveiled on April 9, 2017. As Kirsty said: ‘that is the date of Rossetti’s death and in the eyes of many of his contemporaries it should have been the day that Fanny was wiped from Pre-Raphaelite history. I think it is wonderfully and wickedly fitting that we should unveil the memorial to her on that day’. Please support the #RememberFanny campaign at https://www.gofundme.com/2t976wtw, and watch this space for future updates as Fanny’s life and contributions are unveiled and celebrated, more than one hundred years after her death. Stonell Walker, Kirsty, Fanny’s Final Farewell, http://fannycornforth.blogspot.co.uk/2015/03/fannys-final-farewell.html. Web Accessed October 20, 2016. 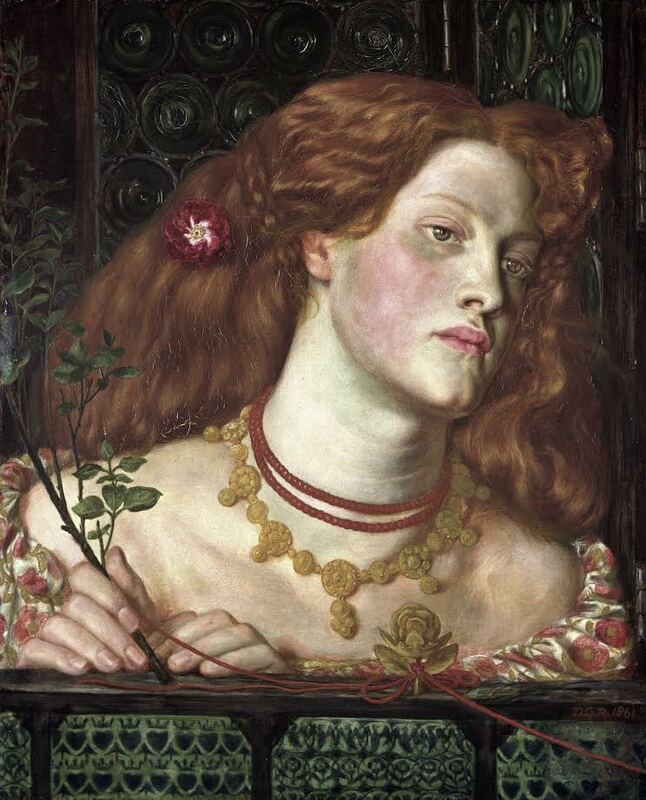 Kennedy, Maev, From siren to asylum: the desperate last days of Fanny Cornforth, Rossetti’s muse, https://www.theguardian.com/artanddesign/2015/apr/13/discovered-lost-grave-pre-raphaelite-beauty-modelled-for-rossetti. Web Accessed Monday, April 13, 2015. Stonell Walker, Kirsty, Remember Fanny, http://fannycornforth.blogspot.co.uk/2016/10/rememberfanny.html. Web Accessed October 20, 2016. 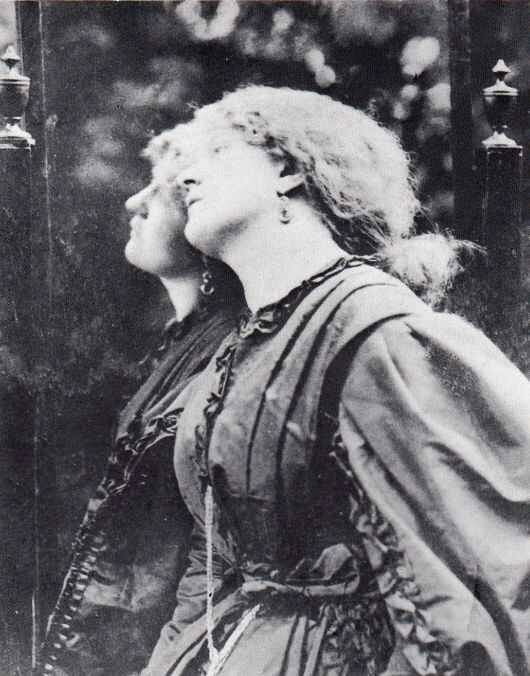 Desperate Romantics: Will the Real Fanny Cornforth Please Stand Up?